T his week’s ed tech exploration focus was social media, specifically Twitter, tweet chats, and Twubs. The reading this week was about the andragogical benefits of participatory video (Walker & Arrighi, 2013). The short answer on what theological educators are saying about Twitter, in particular, and social media, in general, is not much. Theological educators are using Twitter (see a list I have curated) but my observation is that most do not tweet about theological education. More commonly tweets are about sports, politics, family, books, and sometimes theology. My research has turned up no regularly occurring tweet chats that focus on theological education. One tweet chat on theological education was launched last year (#CAEdTech by @CAEdTechDigiPed), but it fizzled after one chat. Adam Copeland (@ajc123) used a tweet chat for his Religion and Popular Culture course (#REL244) at Concordia College (Copeland, 2014). Tweet chats have also been used in a hermeneutics course to explore reader-response theory with students (Williamson, 2013). Several authors have discussed the role of social media, such as Twitter, in creating community among theological students in distance education (Naidoo, 2012). Longden (2013), for example, probes reasons for the gap between the personal use of social media and its use in clergy training. 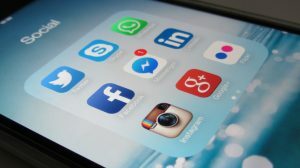 He argues that training institutions are missing a significant missional opportunity by not requiring learners to subject social media usage to critical thinking and theological scrutiny. The potential value is less in the content created, than in the process of creation and critical reflection (Walker & Arrighi, 2013). The benefits of the collaborative process of video creation would seem to give greater than that of tweeting. Nevertheless, Twitter use in theological education might have the advantage of creating a disorienting dilemma that will show blind spots (Mudge, 2015)… except that the filter bubbles referenced by Copeland (2014) may prevent that. This post is the eighth in a series (first, second, third, fourth, fifth, sixth, and seventh) for this semester’s course, “Digital Tech in Adult Ed,” with Dr. Rob Power at UOIT. Walker, G., & Arrighi, J. (2013). Participatory video as a catalyst for informal learning and expression: A review of a PV training in Uganda, 2012. LEARNing Landscapes, 6(2), 409–423. Glad to find this series. Thanks for the mention. I now teach at Luther Seminary, and have used Twitter informally in several of my classes–as suggested ways for students to contribute, but not required. I’ve found that due to the relatively small number of students who regularly use Twitter, such an informal approach stalls out quickly. Students just don’t seem drawn to the medium for theological conversation. There’s some good practitioner Twitter chats, however. See #PresbyIntersect as an example. In sum, I’ve always been curious how much Twitter seems either to naturally align with students’ approach to public life, or doesn’t. I’ve found it difficult to push students from the not-Twitter camp to the active user camp. Thanks for commenting, Adam. I appreciate the update on your Twitter use. The optional approach makes sense at one level, but I’m not surprised that it falters when it is. I’ll check out #PresbyIntersect. Thanks for the tip.